Please Click the DONATE NOW icon below to make donations via credit card online. You can choose to make one-time gift or for ongoing donations. Giving online is a secure and easy way to give your offerings. General Fund supports the budget and all the programs, salaries and ministries of the church. Benevolent Fund helps to support people in need. Presbyterians Sharing supports the overall mission and ministry of The Presbyterian Church in Canada. We support one another’s ministries by starting new congregations and renewing others. We collaborate with mission partners around the world. We learn together, share our experiences and establish healthy ways of working together. We walk with theological students and we speak out on matters of justice. Presbyterians Sharing supports International Ministries, Canadian Ministries, Justice Ministries, Ministry and Church Vocations, Stewardship, Planned Giving and Communications. It also supports the work of the General Assembly, Financial Services and the theological colleges. During our weekly services using Envelopes. At anytime you can request a set of numbered envelopes to be used for giving. You can complete your envelope at home and bring it with you to give on Sunday morning or drop it by the office anytime. This method allows us to accurately provide you with a record of your givings. Establish an automatic withdrawal from your chequing or savings account through our PRE-AUTHORIZED REMITTANCE (PAR) which makes monthly withdrawals from your bank account. PAR is helpful as there is no worries about writing a cheque or giving when you are away. PAR forms are available at the Church office. Giving Stocks that have appreciated in value is a great way you can save money on taxes while helping St. Andrew’s – Chalmers. Donating the appreciated stock to St. Andrew’s – Chalmers provides benefits to both you and the organization. You can avoid taxes on the significant capital gain you have accumulated, while assisting the church in continuing its mission to the community and beyond. Please contact the church office if you would like further information about this. Your legacy gift to St. Andrew’s – Chalmers will provide a bright future for our ministry. Please talk to Rev. Sean if you are interested in this opportunity. Your legacy is an exciting way that Missions, Special Programs, Major Facility Improvements & Outreach can flourish and be funded. 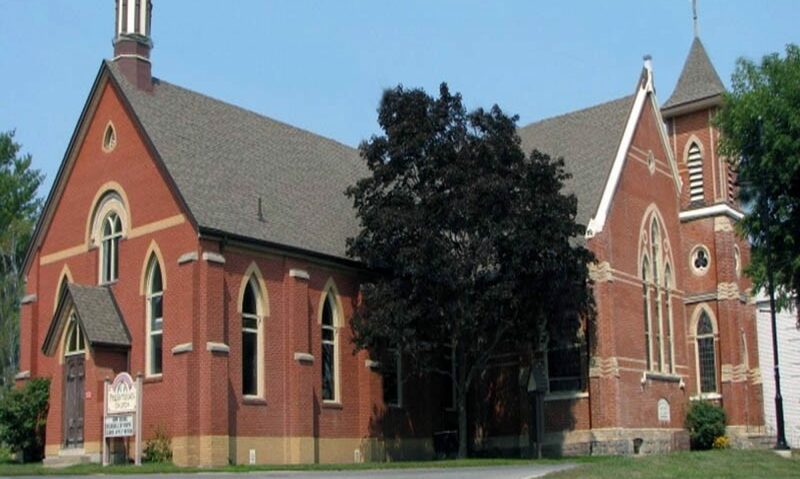 St. Andrew’s – Chalmers welcomes you to serve God and the community. We are open to new ideas and ways that you might exercise your talents, discover new talents, gain experience, learn new things, and meet new people. If you’re interested in a particular ministry or interested, but unsure of where you’d like to be involved, please contact Rev. Sean. He can help point you in the right direction and figure out where your gifts would be best used.